I always seem to visit Mersehead in early April. This year was no different as I spent a week looking at sites from the Firth of Forth down to the Solway. As usual, the last Barnacle Geese (although they amounted to some 8,200 birds) cackle incessantly as they fly back and forth across the fields, whilst the first summer migrants begin to make their presence felt. When the RSPB took over at Mersehead, much of the dune grassland behind the merse (saltmarsh) had been converted to arable production. Now there is a mix of wetland habitat with the wintering Barnacle Geese and other wildfowl being a key feature. The wet grasslands support breeding waders and the rotational game crops attract large numbers of farmland birds (including up to 60 wintering Twite). Although most if the wintering duck have now left, good numbers of Teal, Pintail and Shoveler remain (peak wintering numbers of 3,500+, 1,000+ and 150 respectively), some of which will breed. Three Little Egrets (still scarce up here) graced the pools and a female Merlin chased wagtails around the reedbed. Natterjack Toads are a real success story. 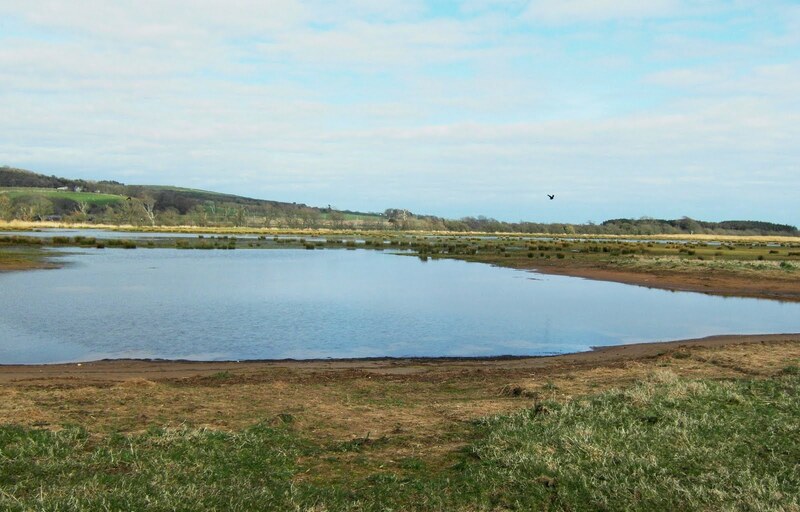 Originally lost when storms washed away their habitat before the reserve was established, they were re-introduced to specially constructed pools a few years back. Numbers have increased sharply and are now colonising the natural seasonal pools. The final part of the story is the creation of pools further ‘inland’ so that the toads can 'retreat’ when again threatened by sea level rise.Reflecting on the management at Mersehead, it is evident that the stability of conditions from year to year that visitors expect often results in a gradual decline in bird numbers after a peak in the early years. As with other reserves of a similar age, Mersehead is beginning to experience difficult management issues. Rush begins to dominate at most ex-arable wetland reserves after a number of years of high water levels. 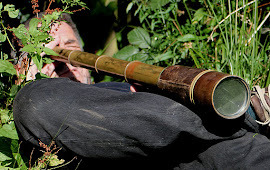 However, the reserve team are ‘on the ball’ and a series of management ‘tweaks’ should see the reserve maintain its exceptional number of birds. After 5 weeks we had reached our final day in Syria. An early start from Aleppo saw us heading south to Damascus for our flight home via the Cities of the Dead. The scrubby hillsides around the ruins of St Simeon held Orphean Warblers and Serins, Rock Sparrows and Yellow-vented Bulbuls. We passed south through Idlip, a town that may never have seen a tourist before. Our lunchtime falafal was piled high with everything on offer and then the shopkeeper offered it to us free of charge with the words "welcome to our country". A final stop at Lake Quattine saw Buzzards, Spoonbils, Egrets and Cranes passing over, various pipits and Bluethroats on the ground alongside the ubiquitous Crested Larks. This was to be our last birding of the trip. In our five weeks we had seen close to 200 species and visited just about every corner of the country. Syria is a fantastic country, with truly friendly and hospitable people, especially away from the tourist areas. It goes straight into the short list of countries that deserve a re-visit. Our trip would not have been the same without the superb support of the Desert Commission and the Syrian Society for the Conservation of Wildlife (SSCW). Particular thanks to Hayan Hmidan and Ghazi Alqaim, and our two drivers Husein Al-Husein and Housam Al-Nazzal. In Al Lajat, where we worked with the Syrian Ministry of Local Administration and Environment, thanks are due to Zober, Maher and Wajih. Along the route we were grateful for the information people provided, notably Ahmed Aidek in Deir Ezzor and Yaseen in Jubbal.